media. ‘Media’ is interpreted as FILM, TELEVISION, ANIMATED FILM, RADIO, MAGAZINES, MUSIC VIDEOS, WEBSITES, COMPUTER GAMES, NEWSPAPERS and ADVERTISING – not platforms. BE BASED ON THE PRODUCTION TOPIC. There is no prohibition on students wishing to undertake one textual investigation only on the Unit 1 examined topics e.g. Film Trailers and Film Posters (June 2014) or Print Advertising and Television Advertising (June 2015) but the media production cannot be based in the Unit 1 examined topic. As a new linear specification all assessments (including controlled assessment) must be submitted at the end of the course – it is advised that during a two year course one textual investigation is completed towards the end of year 1 while the second textual investigation and media production is completed in year 2. If taught over 1 year it is highly recommended all work is submitted before the Easter Break to allow time for internal assessment and standardisation (not necessary if single teacher centre). Cover Sheet ME2 (Textual Investigations) and ME3 (Media Production) must be submitted with each candidate’s work. 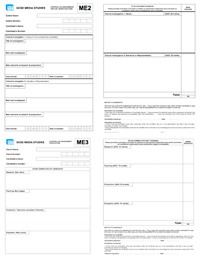 These cover sheets are available on the WJEC website. Textual Investigations = 20 marks each. 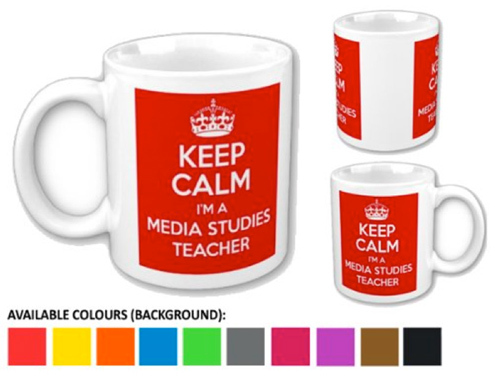 AO2 – Analyse and respond to media texts/topics using media key concepts and appropriate terminology. Research into Media Production = 10 marks. A03 – Demonstrate research, planning and presentational skills. Planning for Media Production = 10 marks. A03 – Demonstrate research, planning and presentational skills.